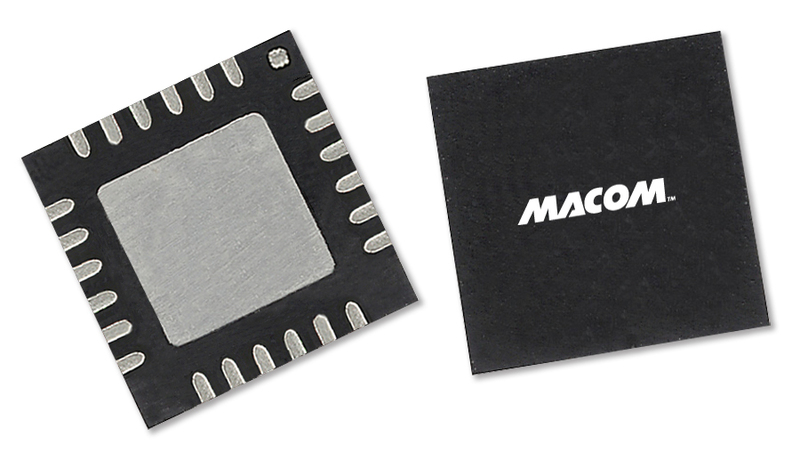 The MAAM-010237 CATV 8-way active splitter with the default loop-through path is a GaAs MMIC which exhibits low noise figure and distortion in a lead-free 4mm 24-lead PQFN plastic package. The design features 75 ? inputs and outputs. This device is ideally suited for multi-tuner set top boxes, home gateways, and other broadband internet based applications. The MAAM-010237 is fabricated using MACOM’s E/D pHEMT process to realize default loop-through operation, low noise and low distortion. The process features full passivation for robust performance and reliability.